I am a Canadian doing a visa run from Doha. I have a return trip booked on Qatar Airways, arriving in Muscat at 1415 with the return flight leaving Muscat at 1735. Am I able to proceed directly through to the transit area and remain airside? 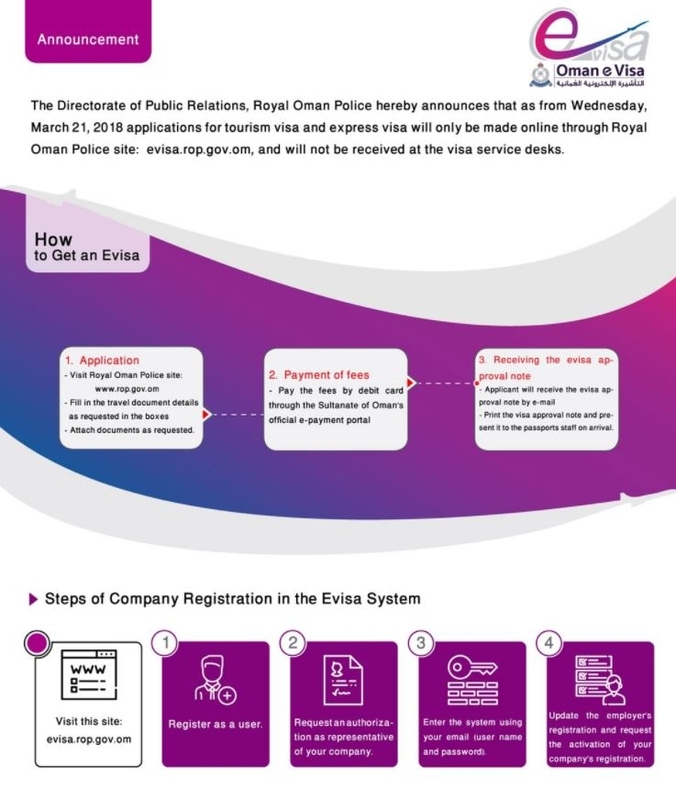 In March 2018, the Omani government announced that applications for tourist visas, including express visas, can only be made online through http://evisa.rop.gov.om, and "will not be received at the visa service desks." Previously, visa on arrival could be obtained at either an airport or border post, through the e-visa system. Not the answer you're looking for? Browse other questions tagged visas transit canadian-citizens oman or ask your own question. Do I require a South African transit visa? Do I need to check out and check in again in transit airport? Is Transit visa required for Doha layover? When taking a multi-segment flight, is it guaranteed that you would get all boarding passes at the first airport? Should I have a visa to enter Turkey to get my luggage? Do I need to re-check my luggage while changing flights in Manchester, UK?